Measure major impurity levels harmful to product quality, ex. Refrigerant Gas analysis in cargo containers. Develop or use existing assay tests for product formulations, for example for Faresene and CTAS. Generation of Certificates of Analysis (CoAs) for specified industrial products. From late 2011 through 2012, several deaths have occurred world-wide as a result of the explosion of refrigerant gas in temperature controlled cargo containers. The general consensus is that a counterfeit refrigerant gas was used in place of the genuine R134a (Norflurane or tetrafluoroethane). 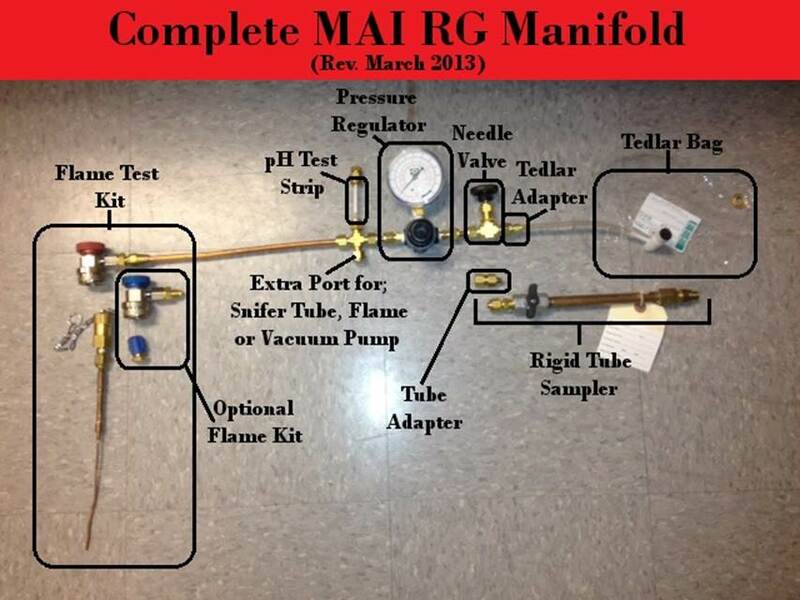 MAI was the first lab worldwide to have analyzed this dangerous counterfeit gas and remains today as one of only a very few worldwide to have done so. We developed safe extraction methods for sampling in an oxygen free atmosphere that are now being used throughout the industry. Since then, a further consensus has developed that more than one type of counterfeit gas exists, athough the other types found to date are far less dangerous or even harmless in their use as compressor gases. Set the industry standard for sample collection, handling, analysis & reporting. 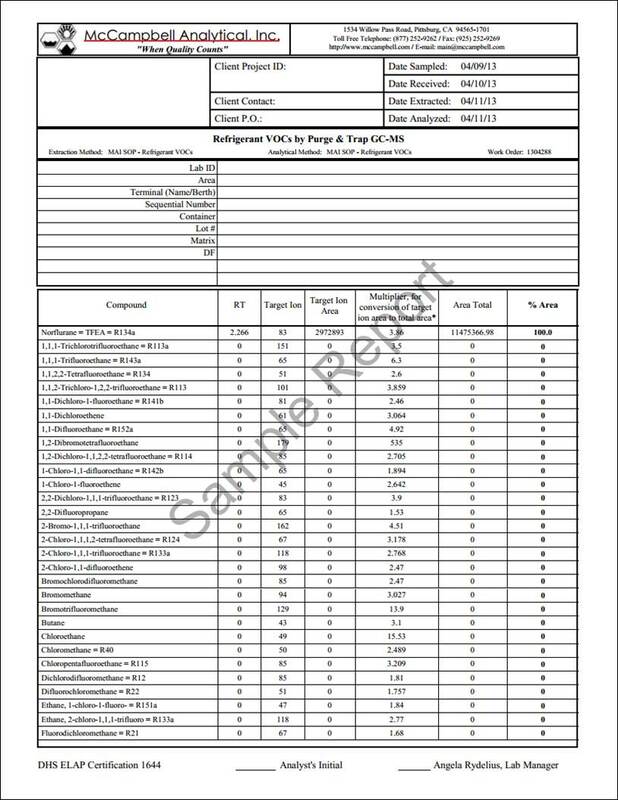 Ability to safely analyze refrigerant gas of all types, including R134a & R404a by GC-MS and provide a thorough & clear report as to its contents based on % area. 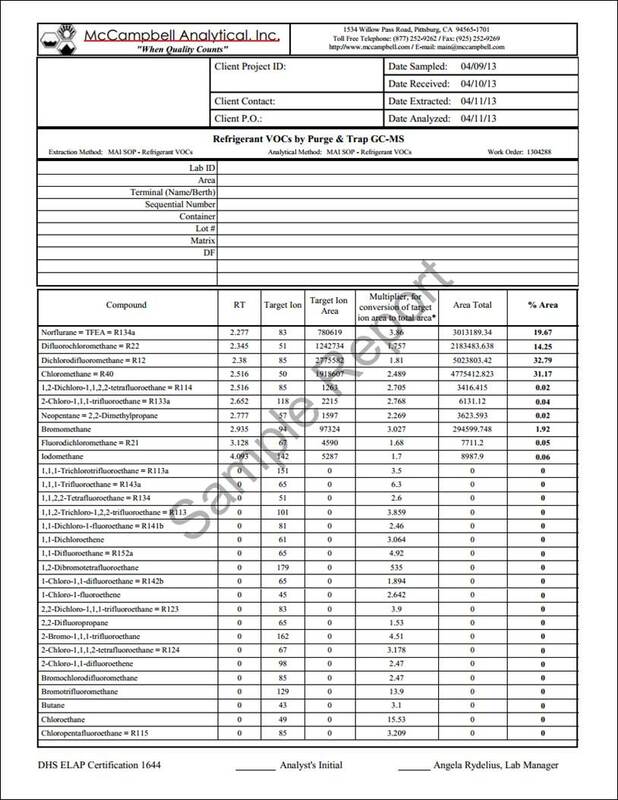 Sample reports for R134a are presented in the next section. Ability to identify unknowns present in refrigerant gas samples, including peak deconvolution as needed. Only GC-MS has the ability to identify unknowns. Operationally defined Non-refrigerant gas as having any of the following properties: does not contain Fluorine (ex. Chloromethane = HCC40, 1,1-Dichlorethene, Trichloroethene); are organometallics or have constituents other than C-F-H-Cl, (ex. Tetramethylsilane, Trimethylaluminum, Bromofluoromethane); are known reaction products of dangerous gases (Neopentane, Methylbutane); have unsaturated bonds (ex. FC1131a = 1-Chloro-1-fluoroethene); are C3 – C6 or higher compounds (ex. Isobutane); or are light flammable/ explosive gases (Hydrogen, Methane, Ethane). 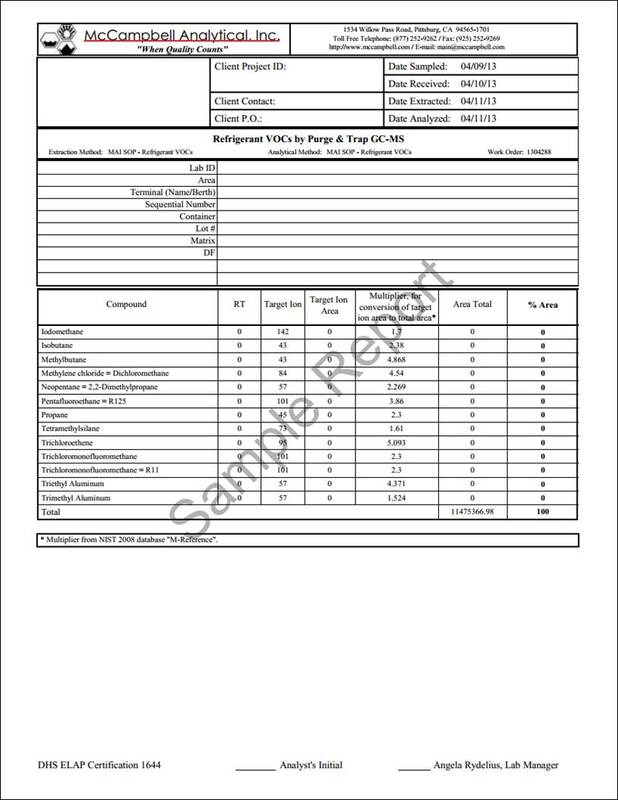 The presence or absence hydrogen, methane & ethane were not evaluated by our tests, but they can be inferred absent if organometallic gases and their reaction products are absent, or based on recorded PVT behavior of compressor gases. Our analyses can be used as the basis of forensic investigations to determine the source origin(s) of contaminants. The current ‘public hypothesis’ that dangerous containers are restricted to those serviced in Vietnam can be examined. COA currently advises that the Cu element torch method be used to check for Chlorine. MAI feels that this is ideal for freon gases, but would present considerable risk if the truly dangerous gases were present in concentration so we have developed a safe pre-screen for explosive gases. MAI is developing a quantitative Chloride flame test. Up to present, R134a refrigerant gas contents fall into the following categories. 2) R134a that is contaminated with historical refrigerant gases, R12, R142b, R133a, and may be thought as contaminated with waste refrigerant gases. 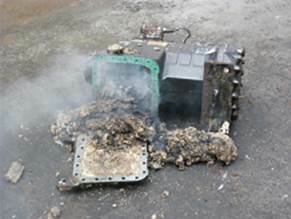 3) R134a that is contaminated with non-refrigerant chlorinated compounds, such as Dichlormethane (DCM or Methylene chloride), Chloromethane (CM) or Dichloropropane, which may be thought of as being contaminated with waste chlorinated solvents/gases. 4) R134a that is contaminated with reactive gases such as Tetramethylsilane (TMS). Trimethylaluminum has been hypothesized but its presence has yet to be confirmed in published data. 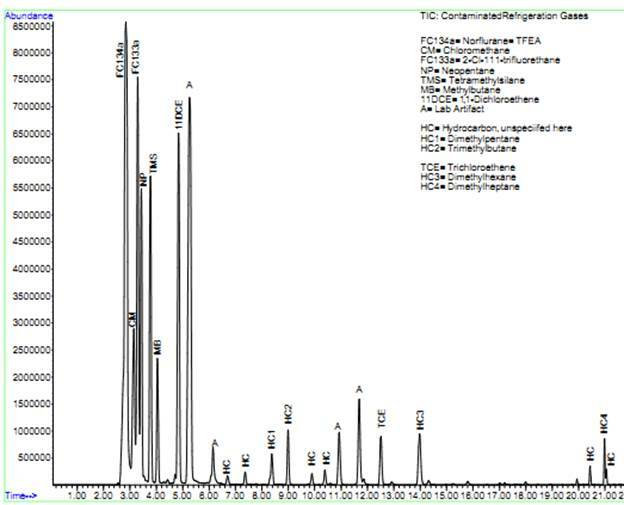 Reaction products Neopentane & methylbutane are present with TMS and it can be inferred from reaction stoichiometry that H2,g and CH4,g are also present. This is the only type of contamination that is known with certainty to be dangerous, but suspicions prevail about type 3 as well. c) Note that these reports have a special quantitation style, as discussed next. 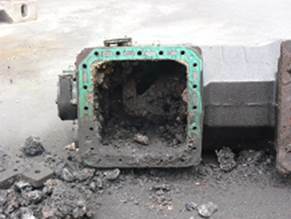 · Custom made gas phase standards are expensive & have long manufacture times. · % Area will always sum to 100% of user selected peaks, so that peaks unwanted for summation such as air (N2 & O2 resulting from valve rotation) or lab artifact peaks can be excluded. It provides needed accuracy & target list flexibility. · Target ion times multiplier reduces to a minimum errors arising from manual peak integration of poorly resolved peaks, and of very small peaks that sit on the tail of a larger peak. The following table demonstrates this point. · The above table demonstrates that target ion area times fixed multiplier quite accurately reflects the R134a TIC area, averaging 113%. Also demonstrated is that this calculation is much more accurate than TIC areas for minor peaks (~<0.8%) are highly inaccurate relative to target ion based quantitation. 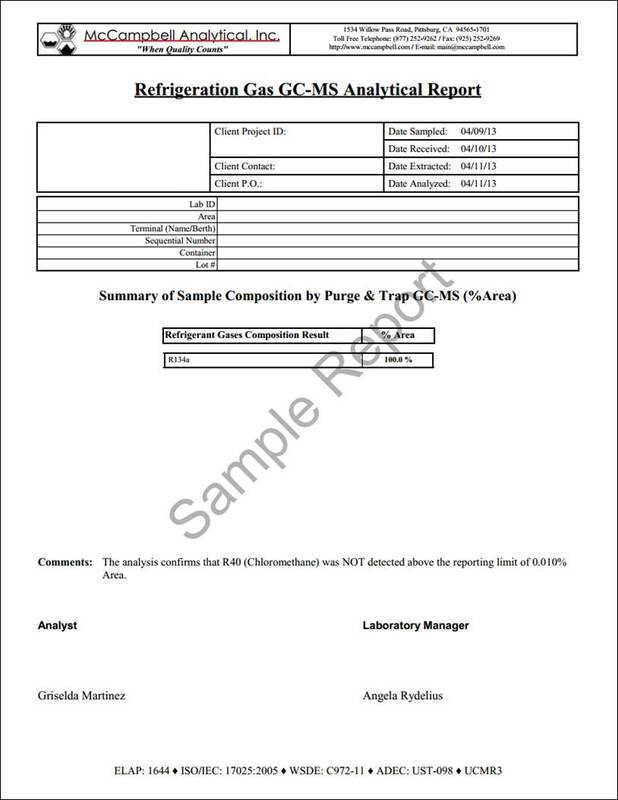 · BFB target tuning (for example Agilent ChemStation) is recommended, as is using the same NIST 2008 “M reference” fixed multiplier that is used in the above example reports. 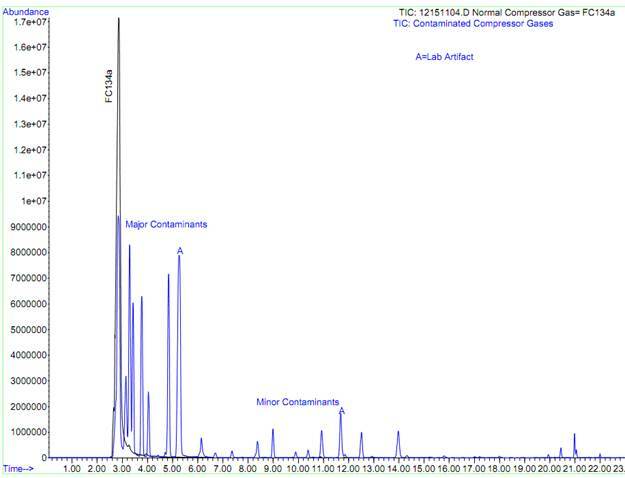 · The largest peak on the chromatogram must be within the linear working range of the MS.
Reactive gas sample peaks are identified in the following chromatogram.